Challenge #17: Learn how to do something new today. Your time limit: 30 minutes. I’m having to skip Challenge #16 for now, since it’s proving to be the most challenging challenge for me. I’ve been attempting to complete it since Sunday. It’s now Thursday and instead of waiting and waiting some more, I’m just moving ahead and I’ll come back to it when I can. So this morning I took a few minutes before work to learn to make paper toys. 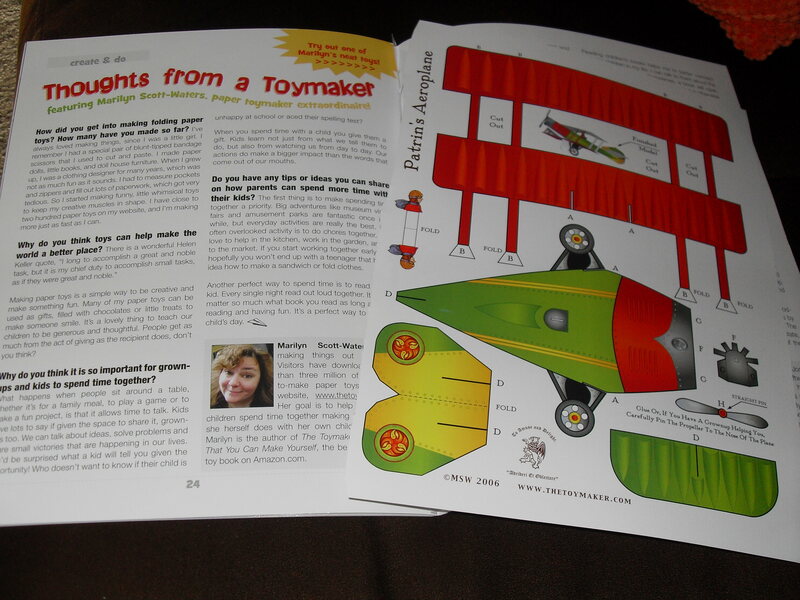 In one of Kim and Jason’s newsletters they interviewed Marilyn Scott-Waters, aka The Toymaker. 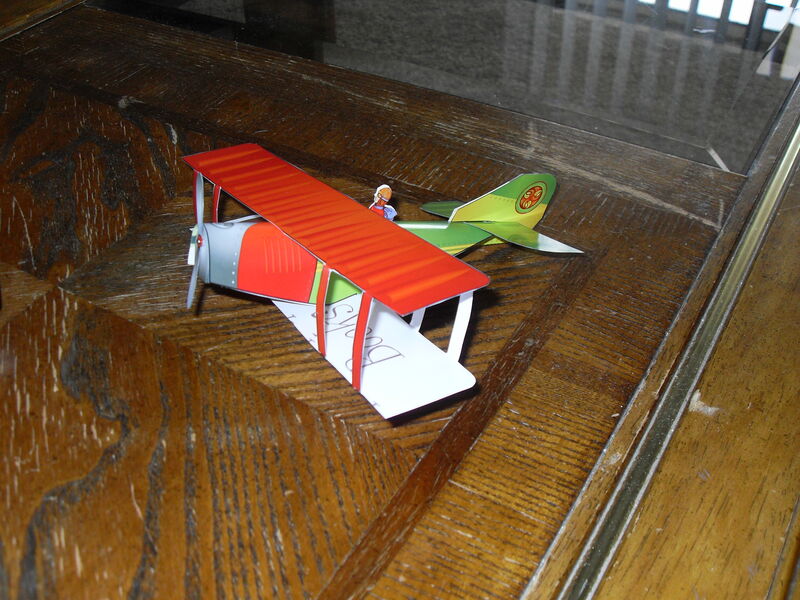 She makes toys out of paper, and included in the newsletter was a template to make a paper plane. I work with kids, and they often ask me to make paper airplanes for them. I’ve always had to tell them the sad truth, “Miss Amy doesn’t know how to make paper airplanes.” But this morning I learned how! I will say that it did take me longer than 30 minutes, especially since this was a “learn by doing” project. There weren’t really any instructions besides the words “cut” and “fold” and letters of the alphabet to identify many of the parts (The letters were A, B, D, F, G, and H. Why did they skip C and E? I don’t know, but it totally threw my OCD out of whack!). Some of the parts were tiny and my clumsy fingers had a difficult time cutting them out. But I persevered and built my own paper plane! It doesn’t really fly, but that’s okay. I added it to my toy collection on my bookshelf and it looks marvelous there! Posted in Mental Health and tagged adultitis, humor, inspiration, mental health, toys. Bookmark the permalink.